As you may have noticed by now, Migos's YRN2 didn't actually arrive last week. Take a deep, deep breath and exhale, though, because the Atlanta trio have at least dished out a weighty new banger to keep us calm called "Ounces." 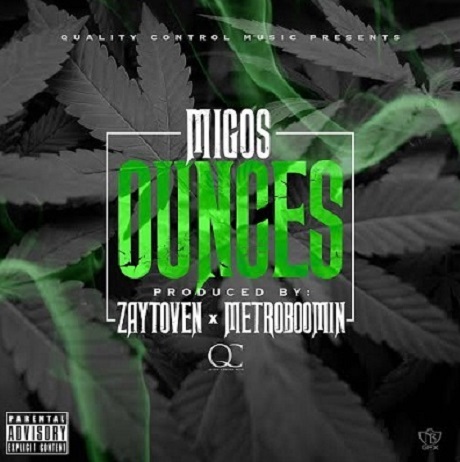 A dank trap beat from Zaytoven and Metroboomin has the triplet-lovin' ensemble trying to move product from out the bando, which for some reason just apparently wreaks of enchiladas. Quavo, in particular, talks about skipping some snuggly time to push kush to the masses. The smoke-celebrating preview to YRN2 can be streamed down below, courtesy of Miss Info. Though it's unclear when Migos will actually bring out YRN2 in full, it's now expected to arrive after the new year.